National Instruments and Auburn FSAE Form Technical Partnership! The Auburn Formula SAE Racing Team (AUFSAE), part of War Eagle Motorsports under the banner of Auburn University’s Samuel Ginn College of Engineering, has continued its strategic growth through a newly formed multi-year relationship with National Instruments (NI), an industry leader in automated test, measurement, and control systems. National Instrument’s support of Auburn University will allow the team to implement new projects utilizing NI’s modular control and measurement hardware such as the CompactRIO and myRIO with their graphical system design software, LabVIEW. Through this multi-year technical partnership, the team will work with NI engineers to develop systems for automated dynamometer control, on-board data acquisition, and engine control applications. National Instruments’ branding will be visible on AU-2014, Auburn’s 2014 Formula SAE racecar, as well as on auracing.org to signify the synergistic relationship formed between these two partners. 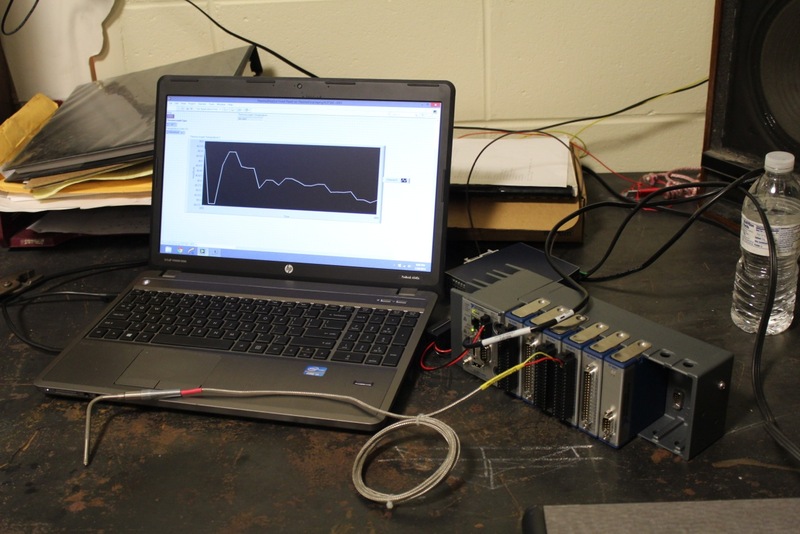 AUFSAE team engineers are currently utilizing the National Instruments compactRio for thermocouple data acquisition. Based in Austin, TX, NI reached record revenue of $1.17billion in 2013 working with a diverse customer base of 35,000+ companies in application areas such as automotive, life sciences, big physics, aerospace, and defense. NI works with many of the world’s leading academic universities to provide graphical system design platforms in research, educational teaching, student projects, and other on-campus initiatives. 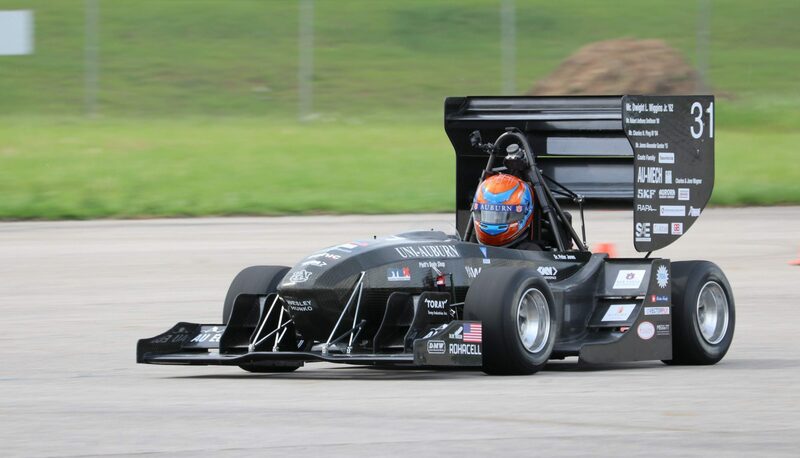 AUFSAE designs, builds, and races an open-wheel formula racecar each year in the SAE sanctioned Formula SAE series against other Universities from all corners of the globe. The intense engineering challenge presented by building a high performance racecar, along with the short time frame to complete the car, produces an environment that demands hard-work, communication, and engineering excellence. The application of engineering theory, fabrication, testing, and competing, along with a winning Auburn attitude give AUFSAE an advantage over the competition! AUFSAE seeks to build relationships within the University, as well as with firms looking to support the team and its members. After finishing 2nd overall at Formula SAE Lincoln in June of 2013, AUFSAE is set to be even more competitive during the 2014 racing season! Look for Auburn Formula SAE to compete in both Formula SAE Michigan, and Lincoln, followed by a trip to Hockenheim, Germany in July to participate in the extremely competitive Formula Student Germany event! Next PostNext AU-2014 Drives for the First Time!